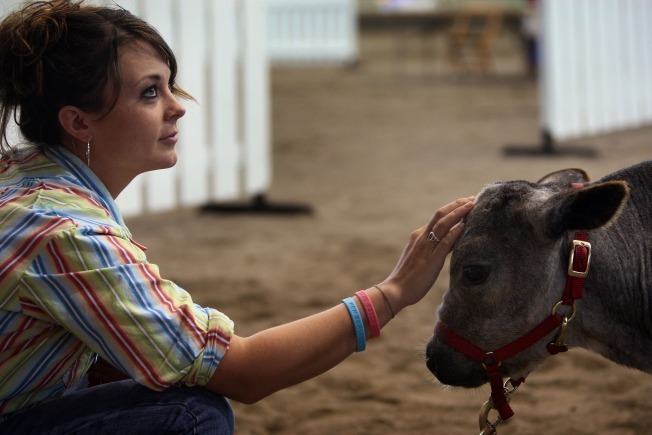 Livestock exhibits will be just part of the Brooklyn Fair, which gets underway tonight. THE LIFE FOR ME: It's all about farm living tonight in Madison. The Dinners at the Farm Series heads to Barberry Hill Farm starting tonight. The series features locally grown produce, cooked on the back of a 1955 Ford F-600, which has been transformed into a portable mini-kitchen. Dinners begin at 6:30 p.m. with a cocktail hour and tour of the farm, and then it's a family style dinner at 7:15. It's $150 for the dinner, and reservations are highly encouraged. Click here for more info. ALL'S FAIR: It looks like fair season is underway in Connecticut. The Brooklyn Fair kicks off tonight. The fair, which runs through the 30th, includes everything from live music to amusement rides to fireworks -- and of course lots and lots of exhibits (dog shows , donkey shows, cattle competitions -- you know, the usual). Admission is $10. The fair runs from 4-11 tonight, and from 8 AM-11 PM Friday-Sunday. DOUBLE HOCKEY STICKS: Heaven & Hell, the latest incarnation featuring members of the Ronnie Dio-era Black Sabbath is at the Chevrolet Theatre in Wallingford tonight. The group reconvened in 2006, after 14 years apart. They are touring in support of "The Devil You Know," a collection of metal anthems that are sure to measure up to their Sabbath Classics. Heaven & Hell will be joined by rockers Coheed and Cambria. Tickets range from $35.50-$61. 7PM.